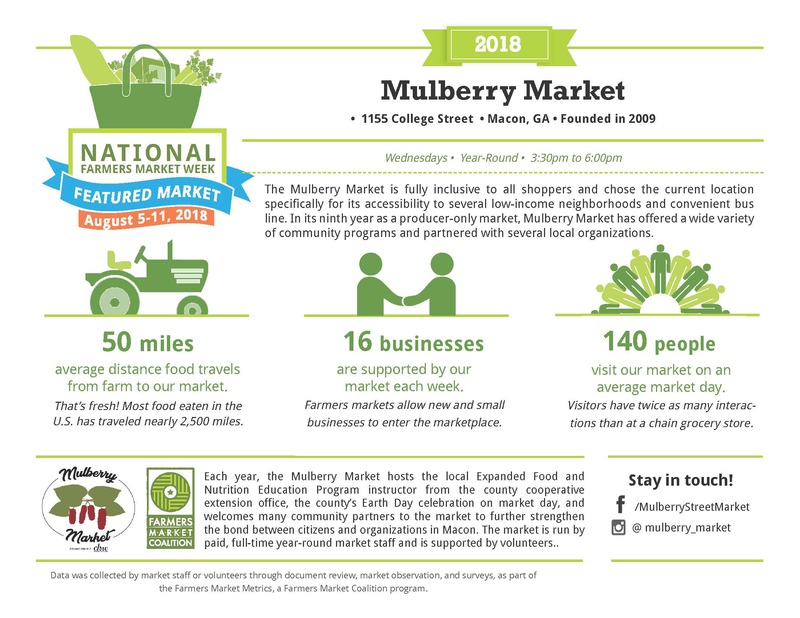 About the Market: As the Mulberry Market enters its ninth year as a producer-only market, we have hosted a wide variety of community programs and partnered with several local organizations. In addition to being a partner market with Wholesome Wave Georgia, we regularly host our local EFNEP (Expanded Food and Nutrition Education Program) instructor from the county cooperative extension office, a mobile library, our county animal control office, and each year hold our county’s Earth Day celebration in conjunction with the market on the Wednesday closest to Earth Day. We are fiercely inclusive to all shoppers and chose the current location specifically for its accessibility to several low-income neighborhoods and convenient bus line. 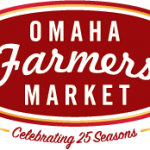 The market has a number of vendors who have been with us since the very beginning and we’ve been so fortunate to watch them grow along with the market. 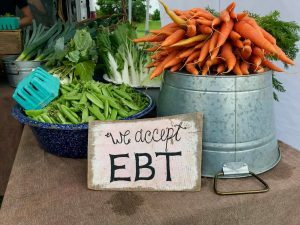 Statistic or Market Accomplishment: We average 2 new EBT shoppers each week throughout the year.